You filed your income tax returns for 2017-2018 and think your tax problems are over for now. 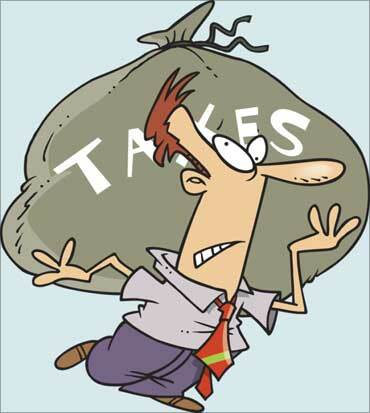 But have you paid your advance tax this quarter, asks Samkit Maniar. Is your tax deducted at source by your employer? You must be feeling relaxed as you glance through the alerts about advance tax, thinking they don’t apply to you because TDS has already been deducted from your salary. You could end up paying interest on your tax amount simply because you have not paid advance tax. Do remember, the advance tax for this quarter needs to be paid by September 15. Advance tax, as the name suggests, is tax paid in advance. It is also known as the ‘pay as you earn’ tax. This tax needs to be paid in instalments before the financial year ends. Why do we need to pay advance tax? It reduces the last minute rush for taxpayers. Speedy tax collection process by the government results in speedy refunds for taxpayers. Paying it quarterly reduces the tax burden at the end of the financial year. Those who are self-employed have to pay advance tax. Many salaried employees have to pay it too, even if your employer deducts TDS. If you are deriving income from sources other than your salary -- for example, rental income, profit from sale of shares/investments, interest from fixed deposits, etc -- then you have to pay advance tax. However, advance tax is supposed to be paid only if your liability, as per your draft computation, exceeds Rs 10,000 for the financial year. How can one calculate advance tax? The computation of advance tax is done on an estimated basis. First, calculate your total income or expected income for the financial year. Reduce your expenses from this amount. The amount that remains is taxed according to the tax slab you fall under. Since advance tax is paid every quarter, once you find out the tax you have to pay, subtract the TDS amount. If the amount that exceeds Rs 10,000, the balance will have to paid as advance tax. Now comes the question: Do you need to pay this amount in one go? The table below gives you the due dates by which the advance tax needs to be deposited. How does one pay advance tax? You need to fill Challan ITNS 280 either manually or online. There are several banks that are authorised by the income tax department to accept the payment of advance tax. The payment can also be made directly via the online facility provided by the income tax department and the National Securities Depository. What happens if I have paid excess tax? The amount will be refunded to you. You can check the status of your refund on the National Securities Depository Limited website. And what happens if I don’t pay advance tax? A friend who was unaware of the advance tax provision ended up paying Rs 25,000 as interest under Section 234B and Section 234C of the Income Tax Act, 1961. Interest is levied at 1 per cent per month and, if the payment is made in the middle of a particular month, then interest will be levied till the end of that month. Taxpayers who opted for presumptive taxation schemes under Section 44AD of the Income Tax Act don’t need to pay advance tax. You can apply for this scheme if your turnover does not exceeds Rs 2 crore in a financial year. It is also extended to professionals (provided their annual receipts are maximum of Rs 50 lacs) under Section 44ADA. Taxpayers falling under this category have an option to pay advance tax at one go on or before March 15. Also, if you are over 60 years old and do not have any income from business/profession, you don’t have to pay advance tax. Samkit Maniar is a tax consultant and can be contacted at samkit.maniar@yahoo.com.